GATE, LLC is proud to announce that in addition to the renewal of their ISO 9001 quality management program certification for 2019, they are also the first company in North America to be certified by DNV-GL to the ISO 45001 Occupational Health and Safety Management System standard. ISO 45001 was published in March 2018 to reflect the latest global best practices for health and safety program delivery and replaces the older OHSAS 18001 standard. Coordination of the efforts of multiple design teams and contractors may now be the most important factor in the success of large, complex projects. Too often we are left with installations that are designed in isolation and that then require much time, effort and money for us to figure out how to operate them. At GATE, we promote a systems-level view of engineering problems. Even in our smaller projects, such as working discrete process or corrosion issues, taking a larger view of the interactions and intricacies of the system as a whole enables us to develop an optimized solution that crosses many different disciplines and boundaries. This takes personnel with a broad knowledge of production systems and the challenges involved in designing, constructing, commissioning and operating them. Our goal is to provide engineering solutions to the oil & gas industry that allow our clients to make informed financial decisions. We aim to provide these solutions through the high caliber of our staff and strong relationships with our customers. We take on projects at any stage from design of new developments to troubleshooting of mature fields. Our expertise in Engineering, Commissioning and Marine Services enables us to provide a balanced oil and gas services to our Clients that ensures the interfaces between various disciplines are adequately recognized and addressed. This results in smoother facility start-ups, and increased whole-life value for existing developments. GATE’s Chemical Systems Engineering team is engaged in all aspects of chemical-related technology for offshore and onshore facilities. The team focuses on production chemistry solutions, chemical injection system design and chemical umbilical commissioning. The Corrosion, Materials and Integrity Team for oil and gas developments and water and gas injection systems forms one of GATE’s core oil and gas engineering services. GATE's Commissioning team continues to supply safe and reliable services to multiple industries within the energy sector. GATE's Subsea Engineering group provides subsea expertise in the areas of installation hook-up and commissioning (IHUC), subsea controls, ROV operation management, and subsea integrity management. GATE’s Environmental Management & Engineering team is committed to supporting your efforts to prevent, detect, and control emission sources and comply with the NSPS. Founded in 2000, GATE focuses on the provision of world-class engineering and project management services concentrated on the oil and gas industry. As GATE has grown and evolved, we have developed our reputation as a company that provides realistic and achievable solutions to complex tasks and challenges found offshore and onshore. Since 2000, we have expanded to 200+ technical staff and contractors with employees located in-house with major operators, as well as in our Park Ten location. Although we are also involved in many discrete projects, our main objective is in developing a systems engineering approach to field design and operation. This enables our Clients to make informed decisions and maximize leverage over their efforts. Rather than attempt to provide a large number of engineers to a project, it is our goal to provide high caliber individuals for discrete high responsibility positions. This requires people that are willing to learn new things, able to transfer existing skills and knowledge to new situations, and who are able to manage and coordinate their activities and the activities of others. As such, a large proportion of our staff has advanced degrees or professional engineer certification. In contrast to other consulting and engineering firms, GATE's philosophy is based on taking an operators prospective to a problem and not limiting ourselves to a specific discipline. This results in solutions that transcend discipline boundaries and provide fit for purpose answers to real operating challenges. To ensure that we focus on doing it right the first time, both in the quality of work that we provide and in the relentless pursuit of delivering zero incident projects for ourselves and our clients, GATE has formally obtained certification to the requirements of ISO 9001 (Quality Management) and we are also the first company in North America to be certified by DNV-GL to the ISO 45001 Occupational Health and Safety Management System standard. ISO 45001 was published in March 2018 to reflect the latest global best practices for health and safety program delivery and replaces the older OHSAS 18001 standard. GATEKEEPER Newsletter Ranked 4th in the Nation in the Zweig Group 2016 Marketing Excellence Awards! Thank you! We will add you to our GATEKEEPER mailing list. GATE, LLC is proud to announce that in addition to the renewal of our ISO 9001 quality management program certification for 2019, they are also the first company in North America to be certified by DNV-GL to the ISO 45001 Occupational Health and Safety Management System standard. The Project Planner / Scheduler position is responsible for conducting planning and scheduling activities as well as tracking and reporting progress under direction from GATE Management and Client representatives. The position will initially be responsible for client asset management, maintenance work planning and scheduling, and spare part inventory using client software package and tools. he GATE Intern Program exposes engineering undergraduates or recently graduated engineers to projects spanning wide array of engineering disciplines critical to the energy industry. 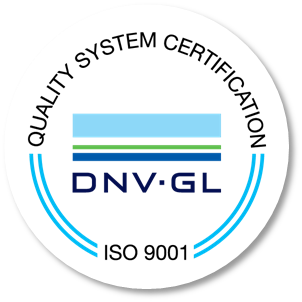 GATE is pleased to confirm that we have received ISO 9001:2015 certification and renewal of our OHSAS 18001 certification from DNV-GL for 2018.